If you’ve ever had to create your own sales leaflet, a short paragraph about your business, an advert in a newspaper or magazine, or even tried to sum up your business in 60 seconds you may have come across the acronym A.I.D.A. A.I.D.A stands for Attention, Interest, Desire and Action and it’s a great way of creating marketing material which is highly likely to engage your audience and provoke a desired action or outcome. 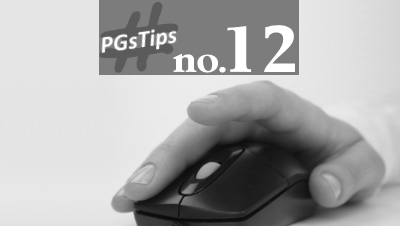 We’re going to cover two topics in this edition of PGsTips. Firstly, we’re going to cover the individual aspects of A.I.D.A. Secondly, we’re going to look at a way of using the A.I.D.A principles to generate more traffic to your website. When preparing marketing material for your business the first job is to ensure that your headline grabs the reader’s ATTENTION. Great headlines clearly explain the single biggest benefit of your product or service. A common mistake here is to focus on the features your product or service has to offer. However, people don’t buy features… people buy benefits to them and, therefore, focusing on the single biggest benefit of your product or service will evoke a more positive response. The second job is to immediately build INTEREST and perhaps a little intrigue amongst your readers. Don’t go sending them to sleep with too much technical jargon, or start trying to explain the processes behind your solution. It’s much better to focus on what’s in it for them. Your audience are always tuned into their favourite radio station WII FM (What’s In It For Me) ! Next up… your advert needs to build and create DESIRE so your audience are REALLY engaged and starting to crave more information. People buy products they WANT rather than products they think they might NEED. People will also spend more on products and services they want which is a nice upside! Finally, your advert MUST have a strong CALL to ACTION – persuading your audience to act now. One of the most effective ways to do this is to offer something in exchange for their ACTION. Discount codes, special offers, coupons and even free samples or free advice are wonderful ways to encourage your audience to click that button. Hopefully, this first section has been of interest to you. A.I.D.A is definitely nothing new, it is however a very well proven and powerful formula. Make sure you use it by default on all your advertising whether it be online or offline. What’s the most important advert your business runs that can be seen by millions of people 24/7? Yes, it’s your website and your Google search result. If you’re anything like most people I talk to you will have spent days, weeks and even months getting every page of your website shipshape and representing your business, products and services in the best way possible. However, in my experience, 8 out of every 10 businesses fail to complete one additional vital component which can make a huge difference. To be honest, most don’t even know they are able to do this…let alone do it for FREE. So…what’s this little secret. It’s your website summary on the Google search results page. Your website summary is made up of a title line and a description section normally covering a couple of lines. From this information the reader makes their decision on which website to visit…which one to click on and which websites to ignore. To be totally clear, here’s what I’m talking about. Research suggests that readers take less than 18 seconds to choose whether to go to the next page, modify and reissue their search again, or to click through to one of the websites listed. So it’s essential that you choose exactly what Google will display for each of your website pages to ensure the maximum chance of a potential customer clicking on your website link. So…how do you control what Google will display? Well…it’s a lot easier than you may think. Nearly every website platform I’ve come across allows you to control what’s called your ‘Site Title’ and ‘Site Description’ or, if they’re and bit more technical, your ‘Meta Title’ and ‘Meta Description’. As you may be aware I’m a HUGE WordPress fan, so for those of you using WordPress to manage your website look in your themes Control Panel and you’ll easily find the labeled sections I’ve mentioned above. If you’re using another platform don’t panic…you should be able to find these sections in your main Control Panel. However, if things get a little more tricky, try searching their help section or even YouTube for the phrase “how to update my website meta title and meta description”. This search should find answers on updating these sections on you specific platform. If you’re a WordPress user you can also try using one of two FREE software plugins called ‘Yoast SEO’ or ‘All In One SEO’. Both of which allow you to not only control the ‘Site/Meta Title’ and ‘Site/Meta Description’ but also allow you to control these elements on each and every page of your website ensuring that every page on your website has a really great chance of pulling in traffic from Google searches. Worst case scenario…email your website designer and ask them if they can do it for you. There’s really no reason to let this FREE and powerful technique slip through your marketing net. Take a little time to write your Headline (‘Site/Meta Title) conveying the single biggest benefit of your product or services to grab browsers ATTENTION. Note; titles should be no more than 75 characters in length to display nicely in Google. Then move onto writing your Description (‘Site/Meta Description) ensuring you build INTEREST and DESIRE leading them to your ACTION statement inviting them to view your website RIGHT NOW explaining how they will benefit. Note; descriptions should be no more than 155 characters in length to display nicely in Google. Using these A.I.D.A principles will help your website STAND OUT and generate more browsers and more potential customers.